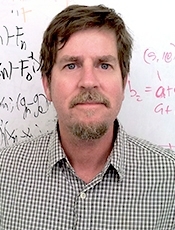 Welcome to the personal academic homepage of Alan E. Hubbard, Professor and Head, Division of Biostatistics, University of California, Berkeley. My current research interests include elements of causal inference, statistical machine learning, estimation of and inference for data-adaptive statistical target parameters, and targeted minimum loss-based estimation (TMLE), with applications to problems in computational biology, epidemiology, and precision medicine. For details about ongoing research projects and my students, please consult my lab website. Content licensed under a Creative Commons 4.0 International License, except where indicated otherwise.